There once was a town that was situated next to a river. Day after day, month after month, year after year, they dutifully rescued an ever-increasing number of people whom they found drowning in its currents. Over time they became exhausted and some argued that they could no longer continue. A child spoke up and suggested that they cross to the other side of the mountain to find out why people were falling into the water. 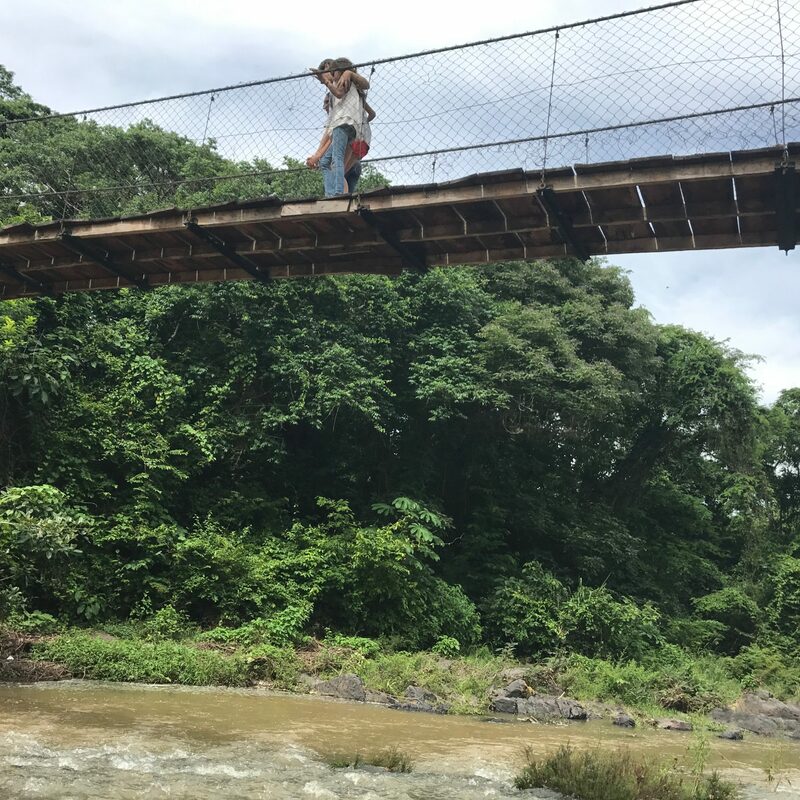 When they arrived, they found a rickety bridge over the river, that the other town had neither the expertise or resources to repair without help. The community mobilized their talent and their treasure and together with their neighbors, they rebuilt the bridge. Photos, audiotapes, and stories from the United State’s border with Mexico have sparked strong, visceral responses in many of us. For many, these emotions are driving us to show our humanity and to confirm our Catholic beliefs through actions. That action can take many forms. Giving testimony as to why immigrants leave home is one option. I am writing today to ask the friends of the Olancho Aid Foundation to commit to sharing your personal stories with our fellow citizens who are struggling to understand why human beings continue to seek asylum and a better life for their families in the United States. We must also share our vision that by working to improve the lives of families in Honduras through education and a healthier environment; we increase the chances that families will be able to stay together. We are actively engaged in providing the tools that will allow Hondurans to improve their economic position and safety in their community. As Pope Francis reminds us, “We should be building bridges and not walls.” Through our association with Olancho Aid Foundation, we have been blessed with a deep understanding of the people who are facing daunting challenges that are foreign to our own experience. As people of hope, we can guide others who are feeling helpless and encourage them to support any number of organizations like Olancho Aid Foundation that are engaged in the mission to improve the lives of families in Honduras. As people of faith, we have been called to serve the people who live on the other side of the mountain. Now is the time to share their stories. Share your story @olanchoaid with the hashtag #StoriesConnectUs. Remember, you may want to protect privacy by changing names or other specifics that could identify an individual or family. Olancho Aid Foundation’s mission is to plant and nurture the seeds of FAITH, HOPE, and LOVE by delivering Catholic-based education and purified water solutions to God’s beloved people in Olancho, Honduras.